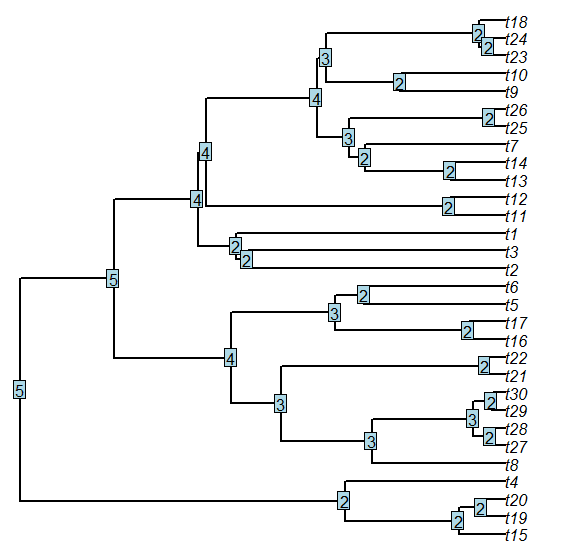 I have an additional question, if I may: how could I go about extracting clades of a certain order as unique groups? .... 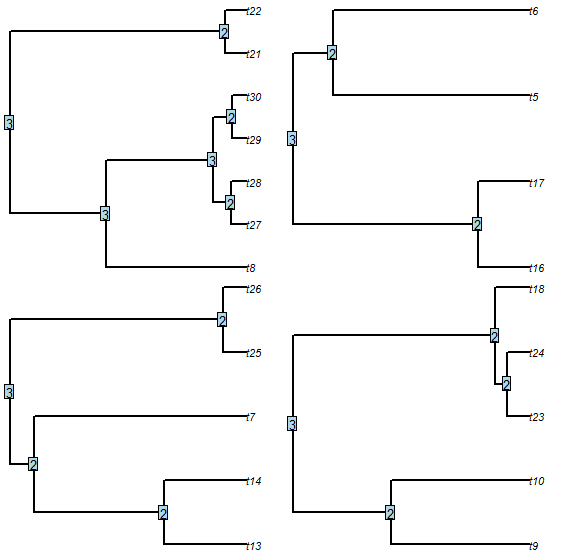 I've been trying to extract the groups based solely on the assigned Strahler number for each node, but the lower ranking identical numbers mess with the extraction (i.e create unique clades that are just subsets of a bigger clade of the same order).